This is a rumor on the Motorola’s first ICS powered device and what makes this more interesting is that the device will also be Motorola’s first Intel-powered device running the new Medfeild platform processors replacing the OMAP processors usually used in their smartphones. As far as now, there are only one Intel-powered device in my knowledge which is the Lenovo K800. Which makes this Motorola device the second ever device to have Medfield. 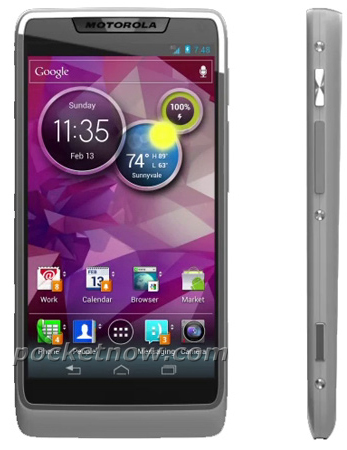 This new device looks a lot like the Motorola Droid Razr but it is said to be a button-free device. And will also have a new version of MotoBlur UI which are sleeker and crispier that previously is. The camera of this device will be the major selling point sharing the same idea with few Nokia smartphones and also the iPhone 4S. We expect it to have its debut on the MWC but maybe not. We will see. Thanks to Mr. Ching for the notification. 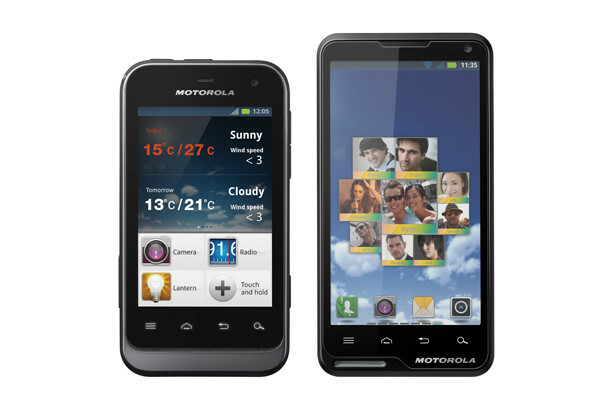 In the CES 2012, Motorola features the Motorola DEFY MINI which is a rugged water-proof and dust-proof smartphone and Motorola MOTOLUXE which is a stylish budget Android smartphone. Starting with the DEFY MINI, it is packed with its ability to withstand harsh conditions and it is water-proof, dust-proof and comes with Corning Gorilla Glass which also makes it scratch proof. The DEFY MINI is advertised as a beginners entry into smartphones. It has a 3.2-inch touchscreen display, 3MP camera with flash, front facing VGA camera and a very heavy 1650mAh battery which gives you no problem using it over a full day. The Motorola MOTOLUXE in the other hand is a stylish smartphone which falls into the low-mid level smartphone which also means it is a budget phone from Motorola. But despite it being a budget phone, the MOTOLUXE comes with great features like a 4-inch edge to edge touchscreen display, Android Gingerbread with MotoSwitch UI, 8MP autofocus camera with flash, VGA front facing camera, 800Mhz processor and a 1400mAh battery. We are not sure these devices will be available in Malaysia or not but we hope they will. Pricing is still unavailable for the moment. Apple’s Retina Display used to be the highest resolution display and they hold that title for quite some time with all the flagship devices from Samsung, Motorola and even HTC fall short on the resolution. Apple’s Retina Display have an incredible 326ppi (pixel per inch) which Steve Jobs says that our normal human eyes can only see up to 300ppi and beyond that resolution, reading from a screen will be like reading from an actual paper. And we cannot deny that the Retina Display is simply awesome and makes the icons on iOS looks so crisp and clear with all the wordings so pleasant to our eyes. No sign of pixelation can be identified on the Retina Display and Apple is very proud of it. Until now. 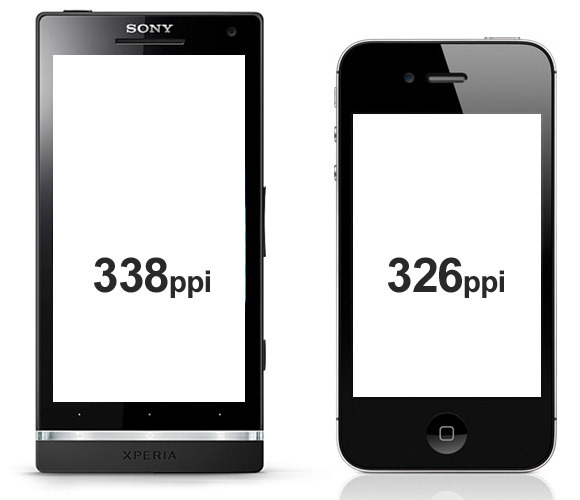 Sony’s new device announced on CES 2012, the Sony Xperia S showcases a higher resolution display compared to iPhone’s Retina Display (iPhone 4 and 4S) with 338ppi in a 1280×720 pixels from the 4.3-inch screen. Although it is not much difference with only a mere 12ppi more than the Retina Display, but that means the iPhone’s Retina Display is no more the king of screen resolution. Great job there, Sony. But the screen resolution is only one part of what makes a phone great. Tired of your iPhone friends keep telling you how high their iPhone’s screen resolution is? Get the Sony Xperia S to shut them off forever! But that depends on what Apple is up to with the next iPhone. Intel promises us a smartphone of its own early this year and here we have it. 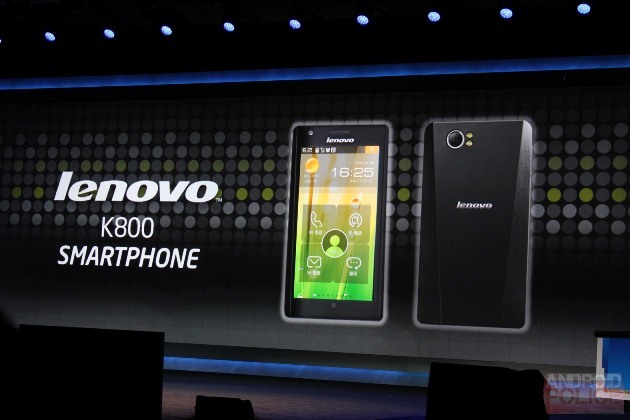 The Lenovo K800 is Intel’s first Medfield smartphone to hit the market and China will be first to get it. During Intel’s keynote in CES 2012, they reveal that the K800 will be the first Intel-powered smartphone with Android 4.0. The device packs a 4.5-inch 720p display and will be shipping in Q2 this year. And the device look kinda nice and classy but the UI does not really look so good. With that, Motorola and Intel also formed a partnership and announced it in CES 2012 that they will be in a multi-year, multi-device agressment which will see the Medfield powering the coming Motorola smartphones only after the Lenovo K800. With this, we shall see how many phone manufacturers will be taking up the Intel chip and dropping Qualcomm and NVIDIA. 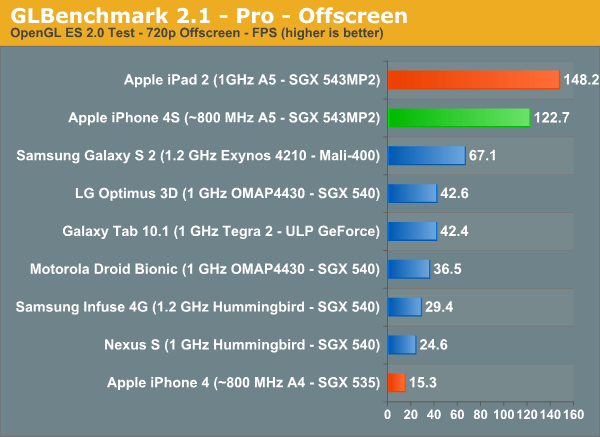 AnandTech’s iPhone 4S performance benchmark. 800MHz A5 fast enough? The iPhone 4S joins the processor trend by having a dual-core A5 processor but unlike the other smartphones which have dual-core processors clocked from 1GHz up to 1.2GHz, Apple’s iPhone 4S A5 processor is only clocked at 800MHz. Most people out there will be so disappointed with such a speed especially from Apple. 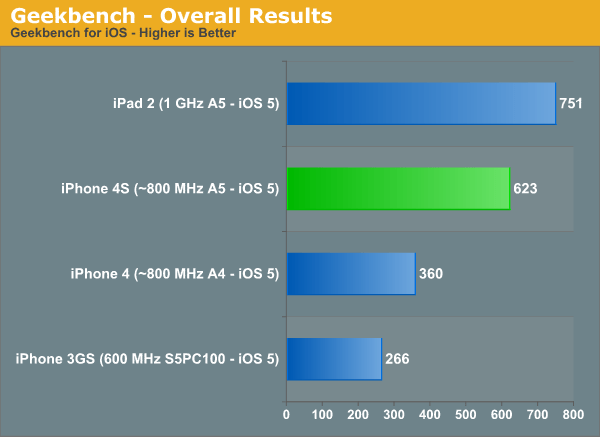 AnandTech did a benchmark test to test how fast is the iPhone 4S really is. With Apple claiming the iPhone 4S is 2 times faster and gives 7 times faster graphics, we hope this test does not prove otherwise. 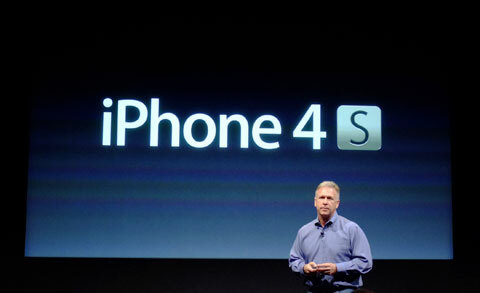 iPhone 4S have a lower clocked A5 processor compared to the iPad 2. Mostly due to power management. 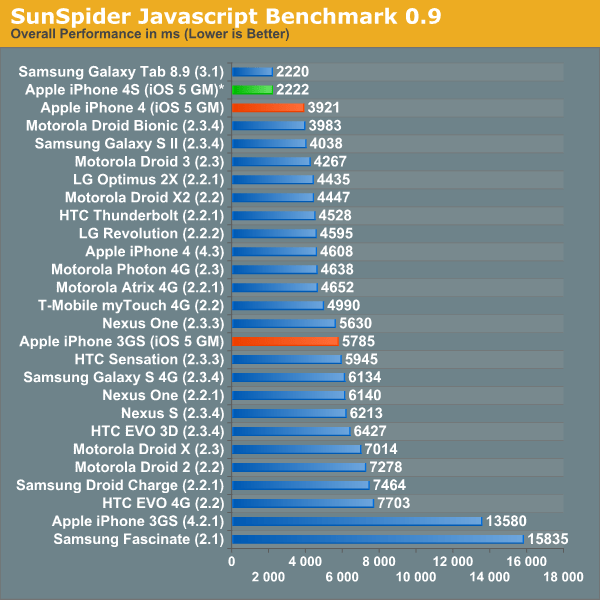 From all the results shown, the 800MHz A5 processor does not disappoint at all. 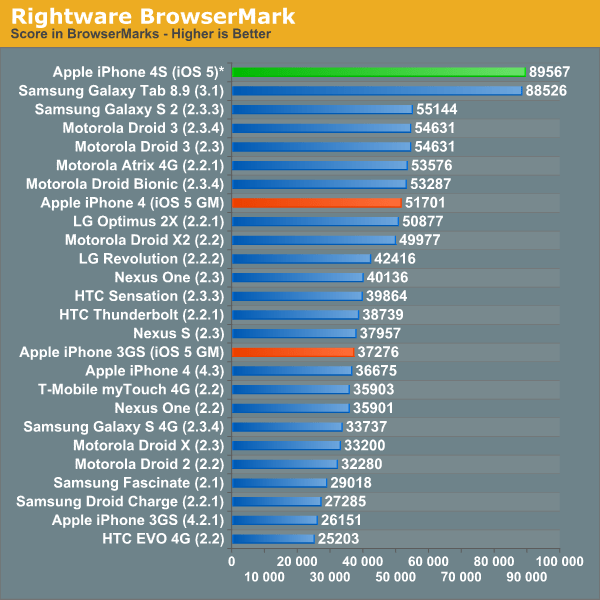 It is indeed very impressive, scoring better compared to other smartphones with faster processors. This is a animation video from YouTube which tells us about Google bought Motorola Mobility and Apple’s reaction. And also what is the current state in the mobile market. Watch it, I think it’s a very good summary of the mobile market today. How much will Apple be affected buy this acquisition?